The Pappillon is known as the Butterfly dog because of it ears. 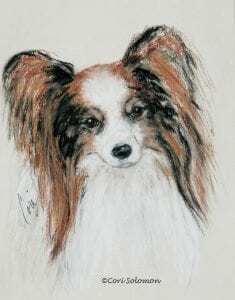 This Giclee is created from an original drawing of a Pappillon. To order a signed and numbered giclee of this Pappillon email Cori.